HOW DID YOU GET INVOLVED IN THE SPORT? I started running in my early twenties when some workmates decided to run the local half marathon, the Wycombe Half (I lived in Bucks at the time) and I decided to join them. It wasn`t as bad as I had imagined! 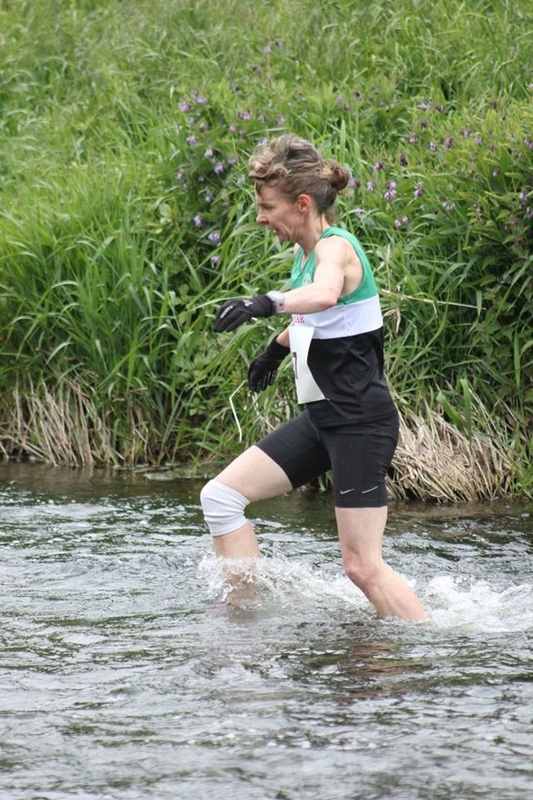 I then joined Wycombe Phoenix Harriers and have been involved with running ever since. HAS ANY INDIVIDUAL OR GROUP HAD A MARKED INFLUENCE ON YOUR ATTITUDE OR INDIVIDUAL PERFORMANCE? My brother in law (Alan Robson – a former Scottish half marathon champion) inspired me to compete and improve in road races – although it would be hard to be as competitive as he was! Also my training partners and friends Rob McGrath (in Bucks), Michelle Beneteau (when I lived and ran in the Paris) and Megan Wright (all better runners than me!) have kept me focussed on training and racing over the years. WHAT EXACTLY DO YOU GET OUT OF THE SPORT? Keeping fit and the challenge/satisfaction and frustrations of racing and trying to chase down PBs! WHAT DO YOU CONSIDER TO BE YOUR BEST EVER PERFORMANCE OR PERFORMANCES? I had a disappointing run at the Paris marathon last year – I really suffered in the last few miles. Also being out sprinted and losing the team prize as a result in a cross country in France many years ago! WHAT UNFULFILLED AMBITIONS DO YOU HAVE? I would love to have got closer to 3 hours for a marathon (my PB is 3h08) but should have started running them before I was a vet! Coaching junior athletics, camping, ski-ing and socialising with family & friends. WHAT DOES RUNNING BRING YOU THAT YOU WOULD NOT HAVE WANTED TO MISS? I’ve made some great friends through running and visited all sorts of places. Always having a race to aim for keeps you focussed. CAN YOU GIVE SOME DETAILS OF YOUR TRAINING? When training for a marathon I run 6 days a week (50-60 miles per week) which includes one long run of 15-20 miles, a 10-11 mile run and a hill or speedwork session. It’s less structured outside of marathon training. I train with Dunbar Running Club on a Tuesday.